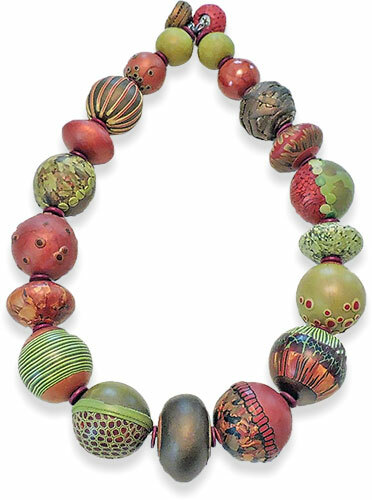 Patterns and colors skip around this necklace from Loretta Lam. A dark oval focal bead anchors the piece. No dramatic shapes or crazy textures but a subtle mix of earthy colors that draw your eyes in with hints of spring. I love Loretta’s work, and this piece is no exception! It has her wonderful color palette and lovely new patterns.